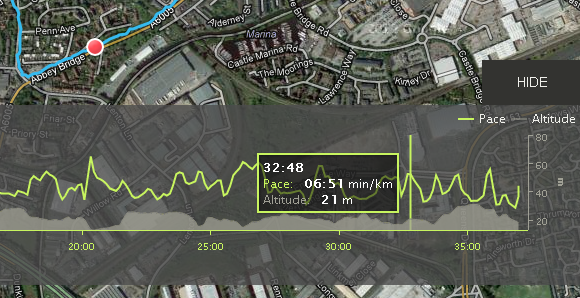 Personally as I am training for my annual triathlon (which hopefully next year will become something I do more often) I like to use Endomondo because it offers me some more insight into my workouts. 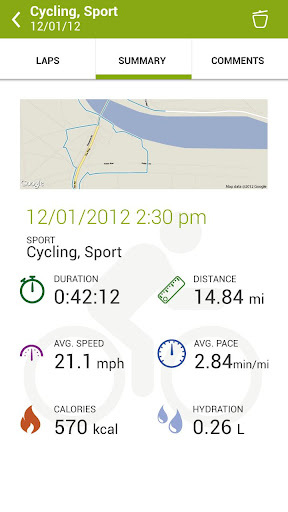 The visual interface of the Endomondo app was updated recently and I have to say it works very well for my tastes. It is clean, simple and neatly laid out with no confusing mass of buttons, dials or hard to hit sliders. 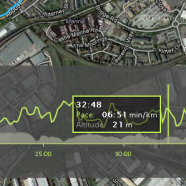 When you open the app you can immediately start recording with a nice big green start button, particularly useful if you do the same sort of route regularly. There is optionally a start timer which basically lets you press it and after a predefined number of seconds it will start recording, letting you perhaps put your phone in your pocket and get onto the track before it starts up. The main screen has a load of configurable areas though, basically a set layout where you can choose widgets to display things like speed, pace, average pace, total time, distance and with the latest update even recommended hydration. This means that you can set it to show you the pertinent information prominently so you can focus on the ones of your choice rather than some generic default. Don’t want the total time at the top? No problem, select distance, or pace, or whatever you prefer. The standard app gives you audio prompts whenever you hit a standard interval, either km or miles depending on your preference, so if you like to exercise with music it will drop down the music level and read out the info before bringing the music back. This way you can keep on going with your phone in your pocket and earphones in without even having to look at it which is awesome! 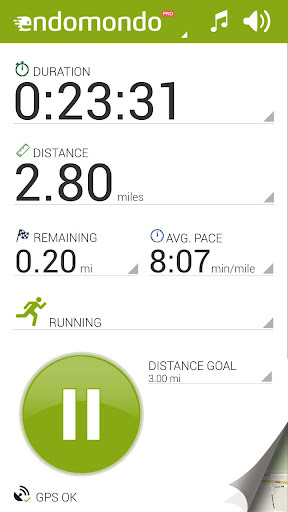 With the pro version you can do interval training, though this isn’t something I have tried out just yet. I’ll update once I have given it a shot. Something I have noticed, which is probably due to the GPS signal and my Motorola Atrix, is that the tracking isn’t particularly fine. For instance whilst I might stop at a traffic light my speed on the histogram seems to only get low not to an actual zero. When you look at the maps closely this seems to be because the GPS isn’t getting an exact location repeatedly, it jumps a couple of metres around a spot. This is probably just a tolerance level which is averaged out, after all we are talking devices which are basic GPS units. The Endomondo online interface offers everything that the mobile app does, as well as a variety of other things like adding preplanned routes, various community elements and a store. In the workouts section you can see specific individual workouts or take a look at statistics, including amusing things like how many trips around the world or to the moon you have recorded! Though if you are training like me then the personal bests and average times are probably quite useful to have an idea of your current form. 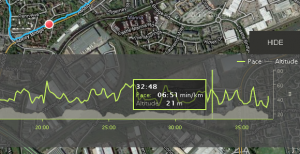 What I particularly like is the fact you can take a look at your workouts by date with full map, speed overlaid on top of altitude graph and the ability to mouse over a particular point on the graph and see where on the map that corresponds to. If you want to you can literally live share your current workout with friends on Facebook or Twitter, and if they comment the audio feedback will give you updates as you go which sounds pretty cool though I wonder if it would also be distracting. After you have completed the workout Endomondo can be integrated directly with your timeline as well as manually posting the link out to your friends or social feeds. I really like the Endomondo app and would recommend it to anyone on Android, watch out for Google Play offers as I was able to upgrade to the Pro version for just £1 at one point.